“Greedy folk have long arms,” posits the old English proverb. 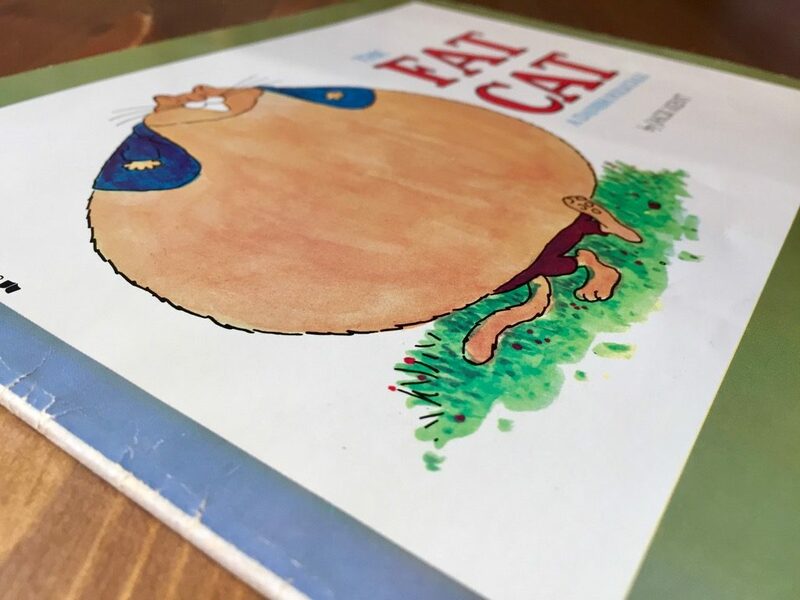 That’s the figurative and disturbing truth presented in The Fat Cat (public library), a children’s book by author and illustrator Jack Kent about a greedy cat with an insatiable appetite. 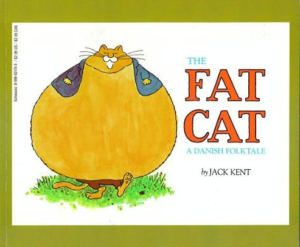 Based on a Danish folktale, Kent’s book follows the cat’s wholly unforgettable journey as he consumes everything and everyone in his path. It’s an engrossing experience for children and adults alike. The story starts in an old woman’s house. The cat, curled up on the chair, watches a pot of gruel for the old woman while she runs an errand. From there, things get progressively stranger. There was once an old woman who was cooking some gruel. She had some business with a neighbor woman and asked the cat if he would look after the gruel while she was gone. ‘I’ll be glad to,’ said the cat. But when the old woman had gone, the gruel looked so good that the cat ate it all. And the pot, too. 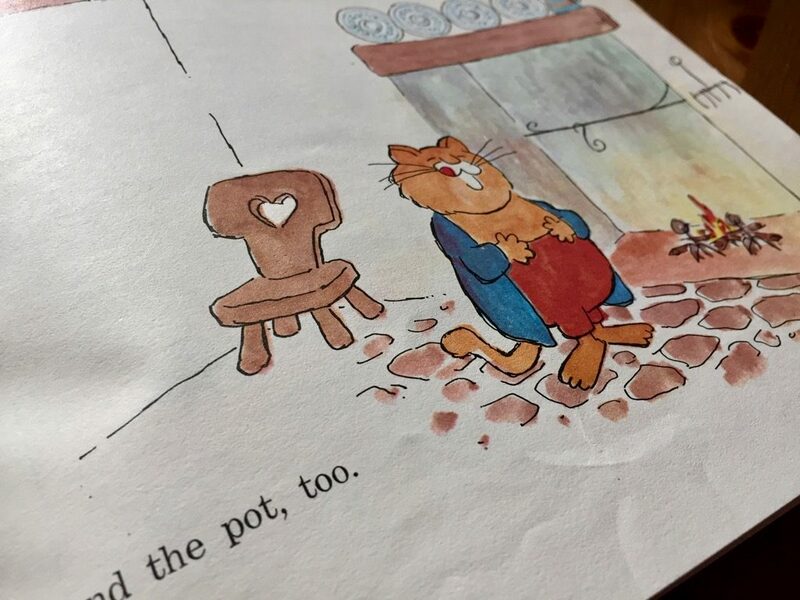 ‘Oh,’ said the cat, ‘I ate the gruel and I ate the pot, too. 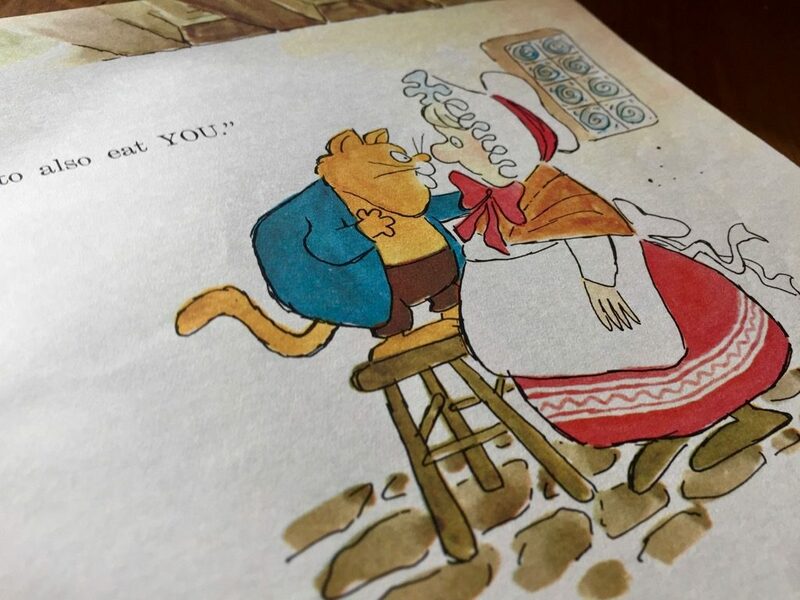 And now I am going to also eat YOU.’ And he ate the old woman. 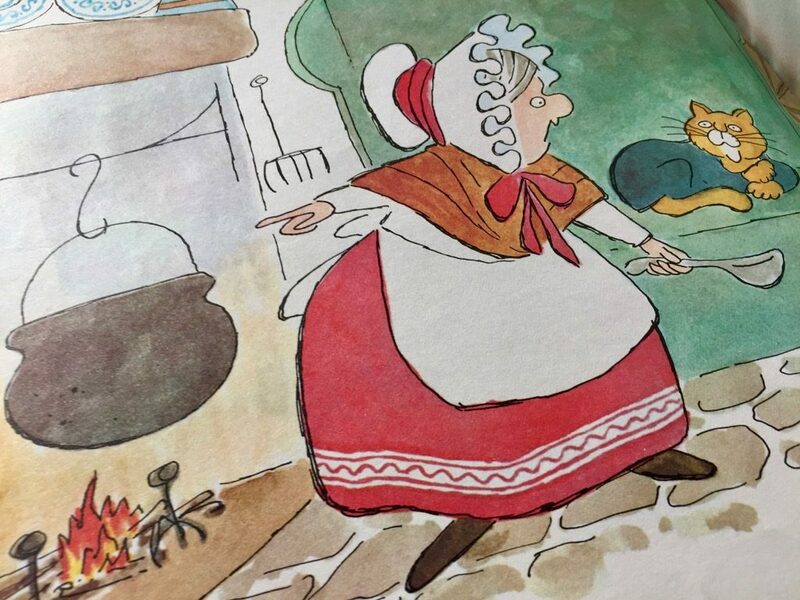 After eating the old woman, the cat leaves the house and starts walking around. He meets a number of neighbors and animals and devours them all. 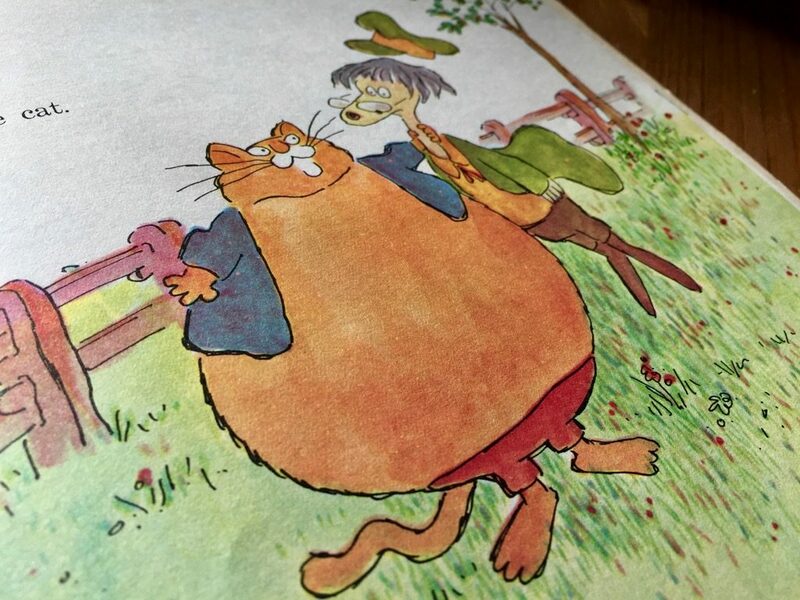 Suffice it to say that The Fat Cat is hilarious and slightly morbid at the same time. The events certainly capture and hold children’s attention! And he ate the seven girls dancing. 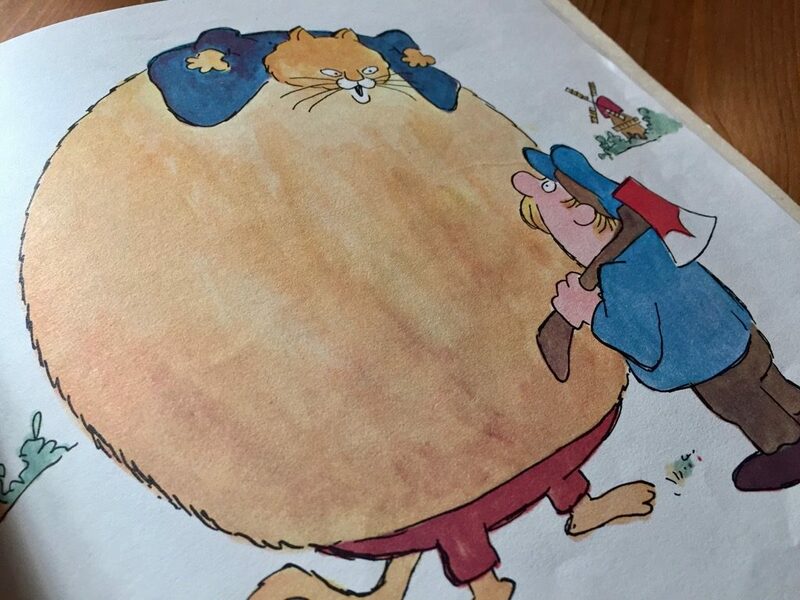 Eventually the cat meets a woodcutter with an ax. The man cuts open the cat and saves the lives of everyone who had been eaten by the cat. The old woman takes her gruel and hurries home. 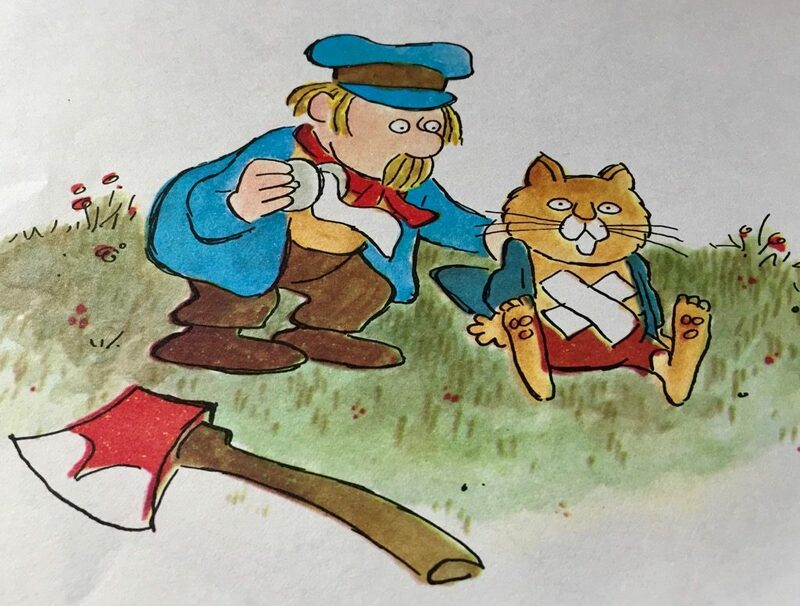 On the last page of the story, the cat is shown looking dazed and confused while the woodcutter tapes his wound. 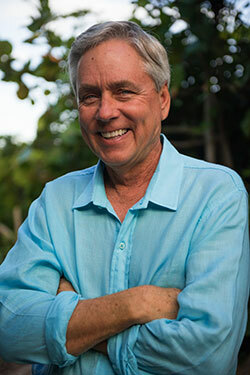 You may think that personal integrity and self-respect are not what you want more than anything else. You may say to yourself that putting them first would make it too difficult to get along in the world and that you want to get along in the world; that you would rather have money, power and fame than personal self-satisfaction. You may even say that you want money, power and fame so that you can ‘do good in the world.’ But if you do say any of these things, you will be making an unwise choice. You will be surrendering something which cannot be taken away from you to gain something which can be taken away from you and which, as a matter of fact, very often is. 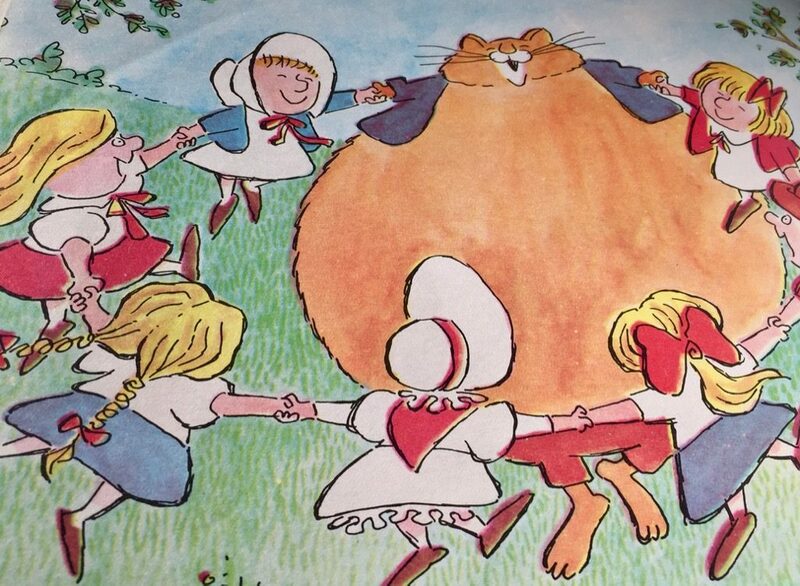 The Fat Cat is a timeless story, one that teaches children about the dangers of greed and overindulgence. Sadly, the book is currently out of print, but those lucky enough to find this book used will undoubtedly enjoy it for years to come. 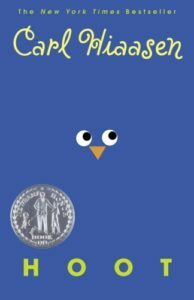 Complement with Rude Cakes, a hilarious children’s book that uses humor to talk about bad behavior, and Gossie, a story about a gosling who likes to wear bright red boots. 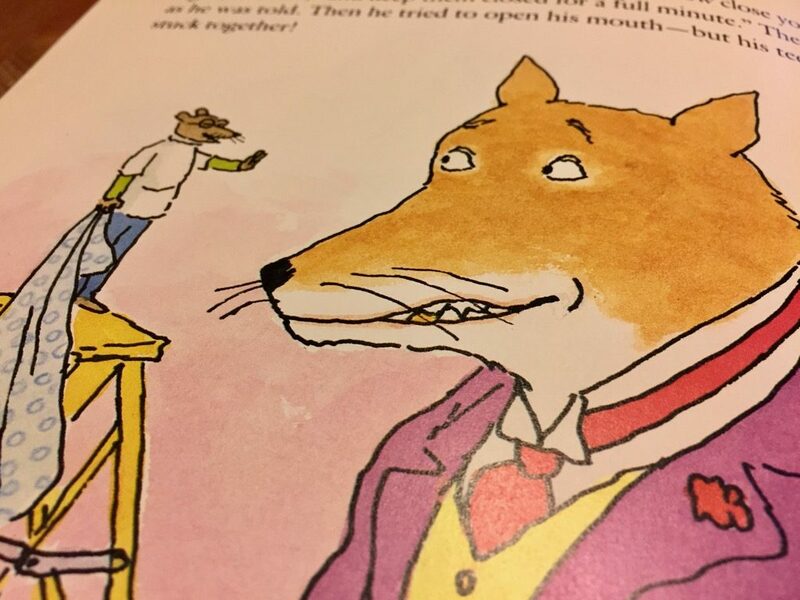 No good deed goes unpunished in this ironic children’s book about a mouse dentist who takes pity on a fox with a horrible toothache. 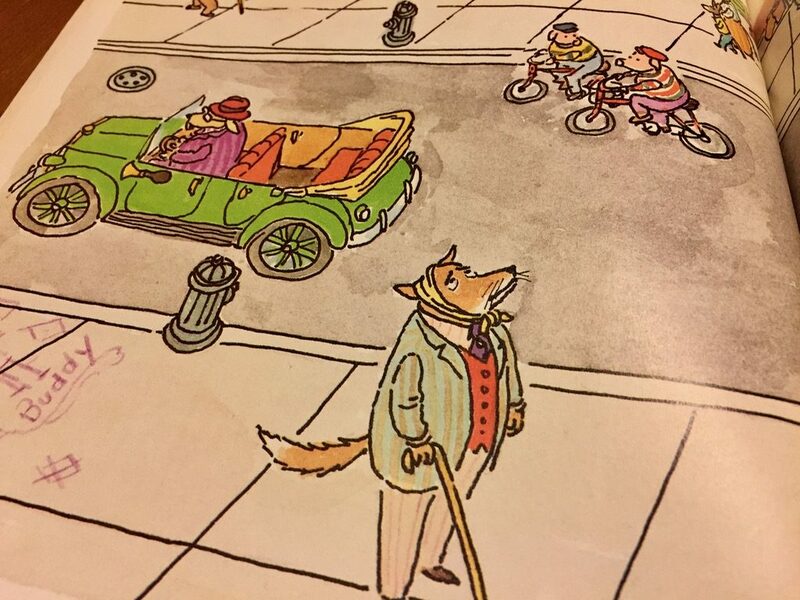 That no good deed goes unpunished is the ironic theme central to Doctor De Soto (public library), Steig’s children’s book about a mouse dentist who takes pity on a fox with a horrible toothache. 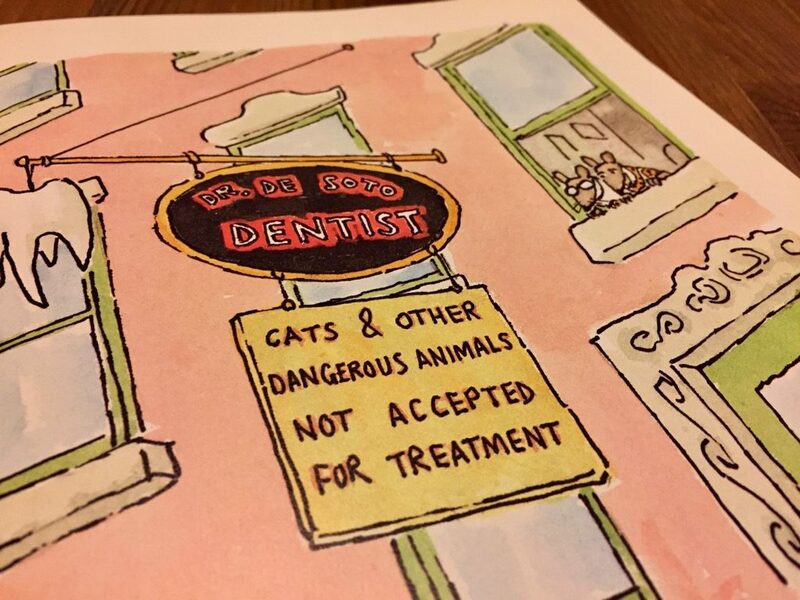 While fixing the fox’s toothache, the dentist realizes his life will be in danger when the fox returns the next day. To save himself, Doctor De Soto must find a way to outwit the fox. It’s a brilliant story that uses danger to great effect — something that’s exceedingly rare in modern children’s literature. Doctor De Soto, the dentist, did very good work, so he had no end of patients. 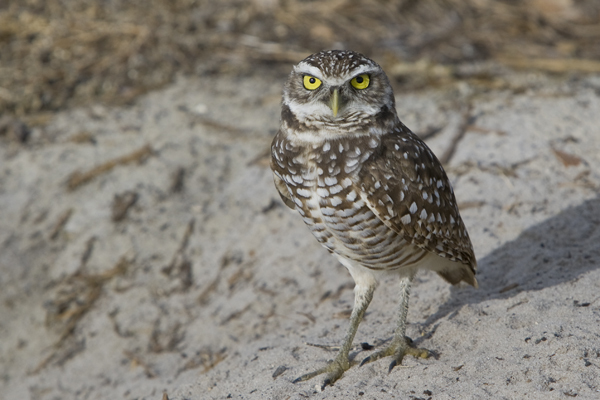 Those close to his own size — moles, chipmunks, et cetera — sat in the regular dentist’s chair. 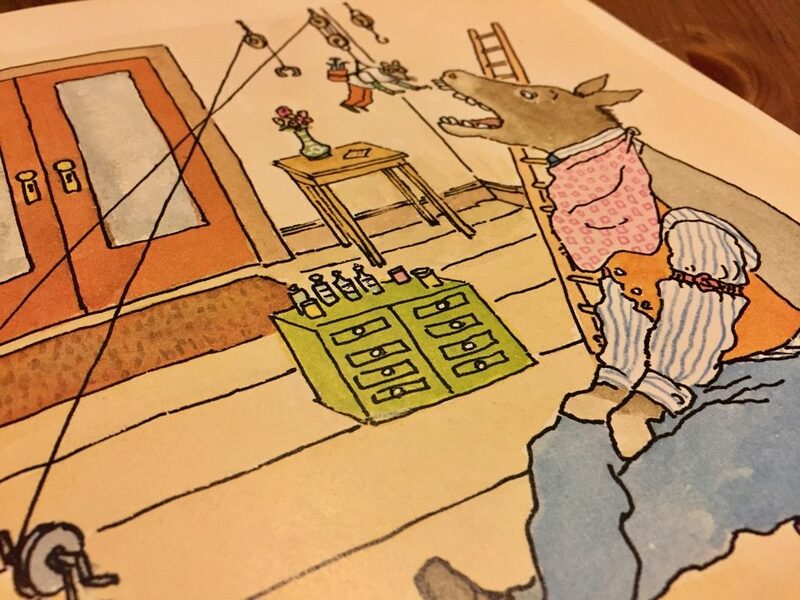 Larger animals sat on the floor, while Doctor De Soto stood on a ladder. For extra-large animals, he had a special room. There Doctor De Soto was hoisted up to the patient’s mouth by his assistant, who also happened to be his wife. Being a mouse, he refused to treat animals dangerous to mice, and it said so on his sign. When the doorbell rang, he and his wife would look out the window. They wouldn’t admit even the most timid-looking cat. But one day a fox with a severe toothache shows up. Doctor De Soto and his wife take pity on the suffering animal and let him in. That’s when the trouble starts. ‘Please!’ the fox wailed. ‘Have mercy, I’m suffering!’ And he wept so bitterly it was pitiful to see. 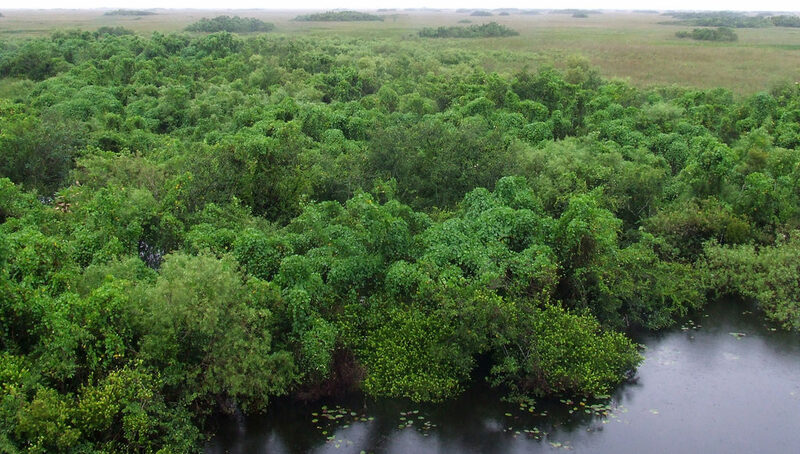 ‘Let’s risk it,’ said Mrs. De Soto. She pressed the buzzer and let the fox in. The first sign of trouble is when the fox is given gas for his pain. He starts dreaming aloud about eating Doctor De Soto and his wife. After pulling the tooth, Doctor De Soto tells the fox to return the next day so they can install the new tooth in his mouth. 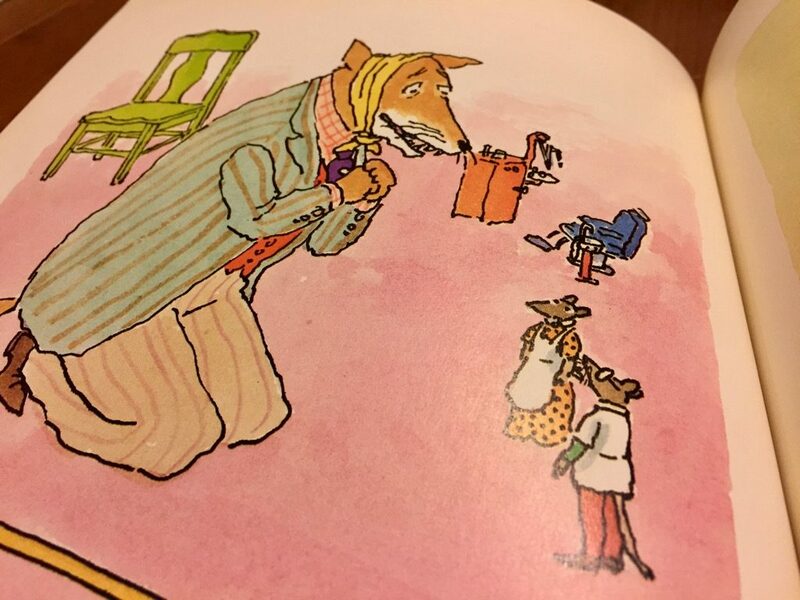 On the way out, the fox wonders to himself whether he should eat the mice, and the De Sotos conclude that they need to come up with a plan to outwit the fox when he returns the next day. 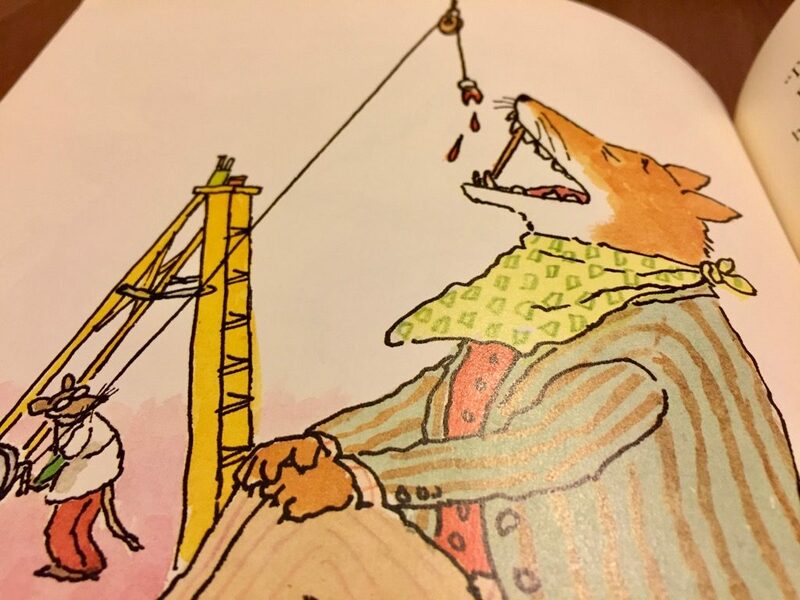 The next day, after installing the tooth, Doctor De Soto tricks the fox into applying a “remarkable preparation” on his teeth that allegedly will remove all of the fox’s future pain. The preparation is actually glue, and the fox’s mouth is sealed shut tight “for a day or two.” The story ends with the fox stumbling out of the office, dumbfounded. 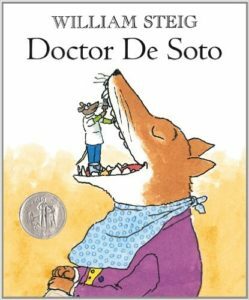 First published in 1982, Doctor De Soto is a wonderful Newbery Honor Book that’s still in print, delighting children everywhere. Complement with The Adventures of Beekle: The Unimaginary Friend, a story about an imaginary friend who is overlooked by children again and again, then revisit Mr. Willowby’s Christmas Tree, a wonderful children’s book about a Christmas tree that’s just a little too tall.